Trophy hunting has been under considerable scrutiny since the killing if Cecil the Lion in 2015. Supporters of trophy hunting say that the revenue it creates helps with conservation, and that hunting protects natural habitats from development. But those opposed to trophy hunting claim that the money it makes is not distributed fairly, say the trophy hunting industry is corrupt, question the ethics of the practice, and have various other complaints (see this post for a quick synopsis). Now, a new study has found that trophy hunting may be more dangerous for wildlife than commonly supposed: especially when combined with the effects of climate change. Being genetically fit (meaning animals have a diverse and healthy gene pool) is an important component of a species’ ability to adapt to changing conditions. As climate change progresses, genetic fitness is going to become even more important. 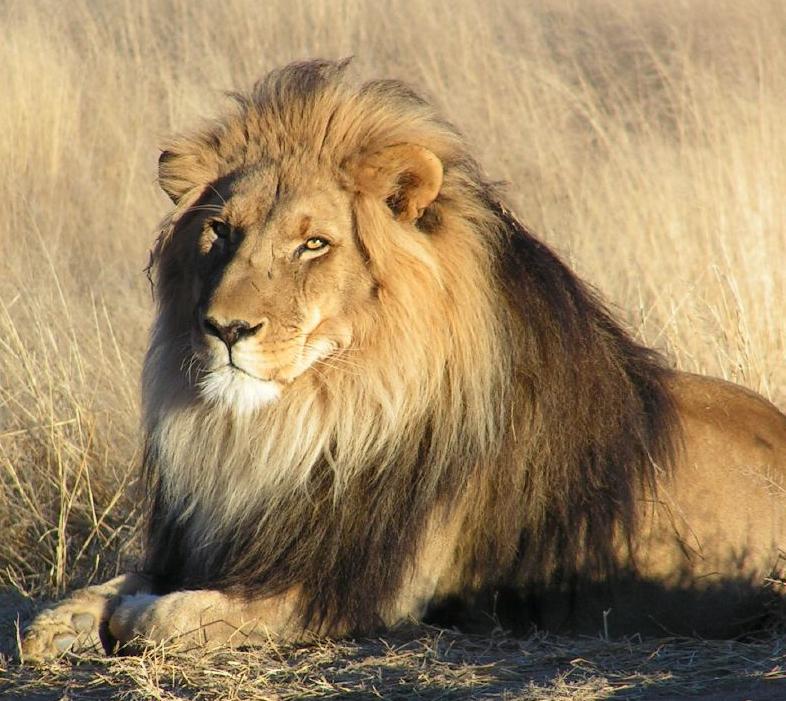 However, a common practice among trophy hunters is to target the most impressive-looking males. As this article from National Geographic points out, this includes the lions with the biggest manes and the elephants with the biggest tusks. This has important implications. The most impressive-looking animals tend to have the best genes. By choosing to kill these individuals, trophy hunters can reduce a species’ adaptability, thereby increasing its risk of extinction. According to the original article, removing as little as 5 percent of the fittest males from a population can substantially increase its vulnerability to extinction. However, the study’s authors do not call for a ban on trophy hunting. They instead suggest more stringent regulations, such as setting stricter age limits on which animals are allowed to be killed. I am skeptical about this recommendation. 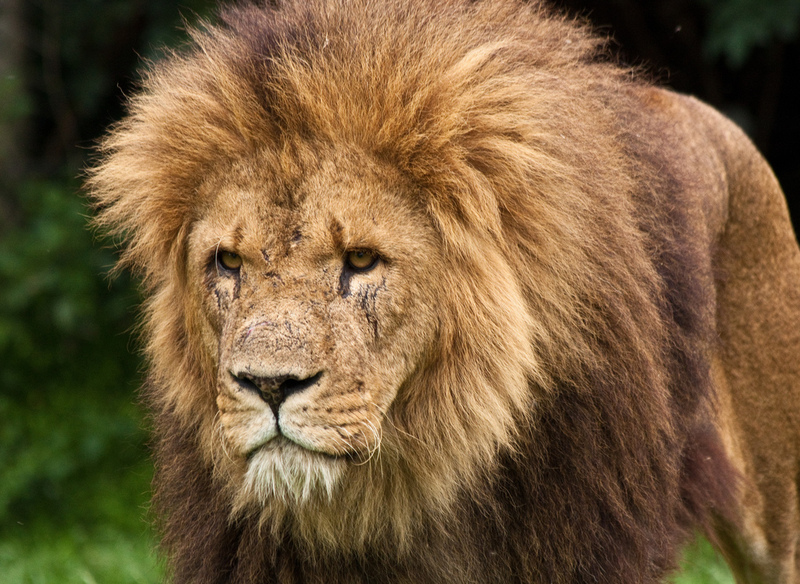 In a webinar hosted by National Geographic last year, Dr. Craig Packer said that current age limits for lions are often not enforced; trophy hunters frequently kill much younger animals than they are allowed to. He referred to this phenomenon as the, “slaughter of the innocents.” If current laws are not respected, what good will it do to raise age limits? In addition, I previously wrote that multiple studies have found that sport hunting disrupts the social systems of mountain lions (Puma concolor) in ways that can intensify conflicts with people. Once again, this happens because hunters preferentially target the biggest, most impressive males in a population. A lack of mature males produces a higher density of younger, more conflict-prone males than would naturally occur. I wonder if this is true for African lions as well? Of course, poaching is a more grave threat than trophy hunting. Still, the more I learn about trophy hunting, the more I question its utility for big cat conservation. It does look like he’s been through a lot. The standard arguments are that the money earned from trophy hunting is worth the sacrifice of a few animals, and that there are much bigger threats to worry about. But findings like the ones mentioned above, and the corruption associated with the trophy hunting industry, make me wonder. Great article. Years ago, I went to visit one of my college classmates. She was an older student, such as I and married. She invited me to her home which was unbelievable, huge entry with marble floors which took me by surprise. I hadn’t expected it as she was just a student but I tried to act like it was normal. She showed me around. To the left of the entry however, was a huge gaming room, pool tables and the like. (My entire house would fit in that gaming room alone with high ceilings to match.) What astounded me were the heads on the wall in two layers. They were spaced out, not cluttered, but even so there was so many exotic animal heads up there. A giraffe even. I was not aware that people mounted them. I learned that he was on a hunting trip abroad somewhere at the time. It broke my heart to see so many beautiful animal heads gracing this mansion. He was definitely a collector. Describing your classmate as a “collector” is a good way to put it: a collector of lives. It seems like trophy hunting, at least amongst those who can afford to hunt in Africa, is similar to a macabre sort of collector’s hobby. It seems strange that it’s glorified so much (in certain circles), and unfortunate that conservation in Africa is reported to depend so heavily on trophy hunting. I couldn’t agree with you more. When I lived in Alabama, there was this area I saw going up with tall fences and trees that extended over hundreds of acres. I could tell they were building something in there but didn’t understand why the tall fences until one day I saw a truck pull up to the gate and I sopped and asked about it. I think he was just a grounds keeper or making deliveries, but he told me it was hunting compound where they brought in animals for people to hunt!!! Nothing exotic, but I was incredulous and said “Are you serious? What sport is there in that? These poor animals are captive!” He went on to tell me that people from all over the world paid thousands to hunt there. I’m guessing there were fancy accommodations hidden in there as well, but none of it was visible. Not just anyone could go in unless they had a membership he said. Yes, there were tons of trees, but they were still fenced in and it made me sick. I couldn’t believe it could be legal. Sorry, didn’t mean to take over here, it’s that it brought back memories of stupid things people do. Trophy hunting, at least among the wealthy, hardly seems to be about sport. It’s more about “collecting” the animal’s head in order to increase the hunter’s prestige. Canned hunting is a case in point. Why can’t they just live and let live? Pardon my ignorance. That’s a good question. If you’re asking why people choose to engage in trophy hunting, it seems to be a macabre sort of collecting. Killing rare animals like lions, and hanging their heads on a wall, seems to confer a certain amount of prestige to the hunter. I’m sure the adventure of traveling to another country and shooting a “dangerous” animal (even if it’s in a cage) appeals to people too. Lastly, some trophy hunters may be trying to copy the “great white hunter” motif that was popular in the 19th Century. As for why conservationists support trophy hunting, it all comes down to money. Trophy hunters pay large sums of money to kill endangered animals, which can theoretically be used for conservation. It really is. That’s what makes trophy hunting such a controversial conservation strategy.